Hello guys! I hope you're doing well, I'm Fernando Quiroz, Editor of Insanity Remains Webzine, I want to thank you guys for agreeing to answer a few questions; So, let's begin! 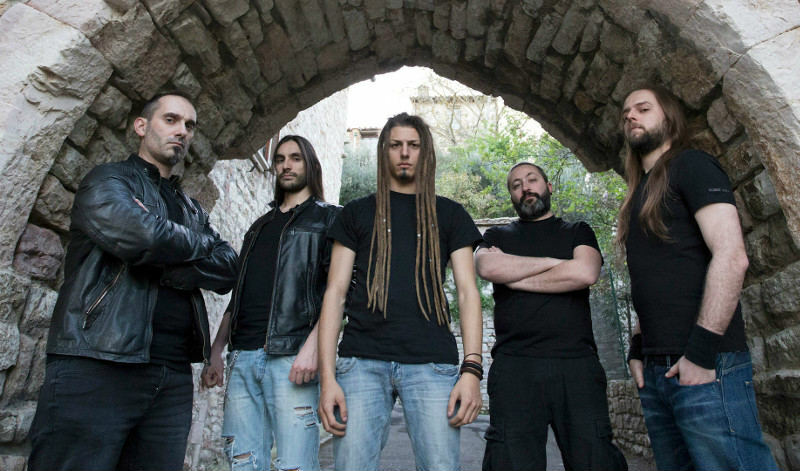 IRW: - I have been listening to the band since you guys emerged in 2009, that Bloodtruth was a side project of drummer Francesco Paoli and bass player, vocalist Paolo Rossi both currently members of Fleshgod Apocalypse, Please Stefano, could you tell us briefly the story of the band? Who are the current members? Stefano: Hey Fernando! Nice to meet you, we are glad to be in your sick webzine. Bloodtruth was born in 2009 while Fleshgod Apocalypse was recording their EP Mafia. I am still a close friend of Francesco, Paolo and all the FA crew, we were used to going out for a drink in the early years, now we have dinner with our children; I wrote two songs after my first brutal death metal experience with the band Devouring Hatred and then I decided to record these songs with Francesco and Paolo. Francesco recorded drums on our first demo tape, never released, for two or three times as he just started playing drums, since 3 or 4 months only. He was really incredible!!! He was able to play songs that local drummers were not able to play. I still keep these recordings, locked away in a drawer. Maybe we will release some in the future… maybe not! After such studio sessions, we decided to call it quit because of the huge amount of job that F.A. needed. I had to wait 2 or 3 years to find my partners in crime Giacomo Torti, Riccardo Rogari and Luigi Valenti. The feeling was absolutely great with these guys! Never had a feeling like that. We signed a deal with the mighty Unique Leader Records, recorded our first album Obedience, toured Europe with bands like Suffocation, Nile, Antropofagus and Devangelic and then we decided to pass the vocal duties to our current singer Luis Maggio. During these years a lot of things changed: I had two daughters, a lot of jobs, so we decided to include a second guitar player, Stefano Clementini, that became a member of the band. That’s the whole story. IRW: - Four years ago Bloodtruth released their debut album entitled "Obedience", How was the reception from the media and especially from the public? Stefano: - Well it was, wow, something really unexpected. We received a lot of positive reviews, interviews from all over the world. Nile and Suffocation tour helped a lot to submit our musical proposal to the biggest audience. We received some feedback from Max Cavalera too! Something I really couldn’t believe. IRW: - Did you feel satisfied with the outcome capture in "Obedience" as far as songwriting goes? Stefano: - Yes, absolutely. This was our first release and we worked very hard to achieve the best songwriting and sound that is possible. I am not focused on the past usually, every time we try to make our best to create great music. IRW: - During a long period of inactivity many things happened, including changes in the line-up, how was the departure of the vocalist Luigi Valenti? Why a change of this magnitude? Stefano: - Ouch, you are putting the finger on a sore spot. We were forced to stop our live activity because of a lot of health problems of some members of the band. Nothing too extreme but it took more time than we expected. Other bad things happened (we really don’t want to remember that bad period) and time went by. About Luigi, we still are close friends; at that time he started a new job as a lutist and he moved to the UK with Crimson Guitars for a while so we eventually decided to replace him with Luis. 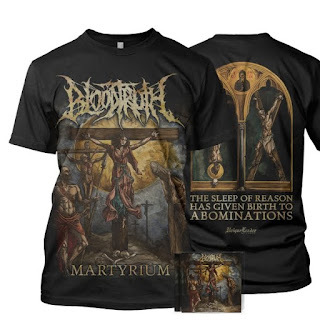 IRW: - How was the songwriting and recording process for "Martyrium"? Who is responsible for the songwriting or is it a collective? Stefano: - I and Riccardo wrote all the album riffs. We love to write together, our work is really constructive even if we live 50 km far from each other, we always share our different points of view on the riffing parts. About drums and voices, Giacomo and Luis worked on their own, very independently. We tried and tested such a methodology and it works really well. IRW: - Is it a conceptual album? Where did you get the main idea? Stefano: - Yeah, it is a concept album; every track is about martyriums made in name of religion, especially at the time of the so-called Holy Inquisition. IRW: - What bands have influenced Bloodtruth’s sound? How would you describe your sound in the newest album? Stefano: - Martyrium sounds really different from Obedience. Everything seems to be darker and gloomy. We pushed Stefano Morabito of 16th Cellar studios to produce an unusual sound, more natural and dark because creating every new song was making us feeling darker when compared to Obedience. While mixing the album I was listening to Behemoth - The Satanist; I think it had a lot of influence over Martyrium sound. IRW: - How has Luis Maggio been adapting to the band? Has he met all the expectations? Stefano: - Luis is now essential for the band. He can spot every single bad note in a sea of riffs! He has got all that a singer should have for a band: one of the best voices in death metal, a great stage attitude, plus he is really writing sick lyrics. Could we ask for more? 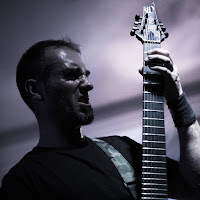 IRW: - Please tell us about the new guitarist Stefano Clementini, did he help in the songwriting for "Martyrium"? Stefano: - Stefano is an old time friend of us all. We were searching for another guitarist because my impossibility to play far from my town and he learned every Obedience song in less than 2 months. Stefano became a permanent member of Bloodtruth and he wrote some tasteful guitar solos for the new album. IRW: - Where was the album recorded and who was in charge of the production, mixing and mastering of the album? Who designed the album cover? Stefano: - As for Obedience, we recorded guitars, bass and drums on our own. Reamping, mixing and the almighty Stefano Morabito of 16th Cellar studios in Rome took over about the mastering process; we adore working with him and we consider him to be our 6th member of the band. The cover album was a masterpiece of a Peruvian artist, José Gabriel Alegria Sabogal. He painted every single image, including a lot of incipit drop caps in the booklet. About the artwork layout, I did it as I was doing for Obedience. IRW: - Since the new album was released a few months ago, how has been the welcoming from the media and followers to it? Stefano: - Wow, something incredible man! We received a large number of orders in our webstore, a lot of positive reviews and a lot of interviews. Something quite unexpected! IRW: - Both of your albums are clocked at thirty-three minutes, personally I was expecting more songs in the second album, Do you feel fully satisfied with your new album "Martyrium,” or is there something that you would have liked to do differently in the length for instance? Stefano: - We think that 30 min is the perfect length for a brutal death metal album. We listen to a lot of albums longer and it becomes boring over this size. That’s our point of view. By the way, we had more material ready and recorded during the Martyrium session: some surprises incoming in the next future. IRW: - How has the promotional work provided by your record label been? Did you feel happy with it or what else would you like to have from them? Stefano: - I was in touch with Unique Leader during the release of the new album, without receiving any reply. It was so strange and I was so angry with them until I received an email from Erik: he was very sick. Everything changed since that, we helped them in every possible way, for example getting in touch with magazines to have the best exposure that was possible. After that, unluckily Erik died a few months later. He always supported us in a great way, he was a true friend of ours. 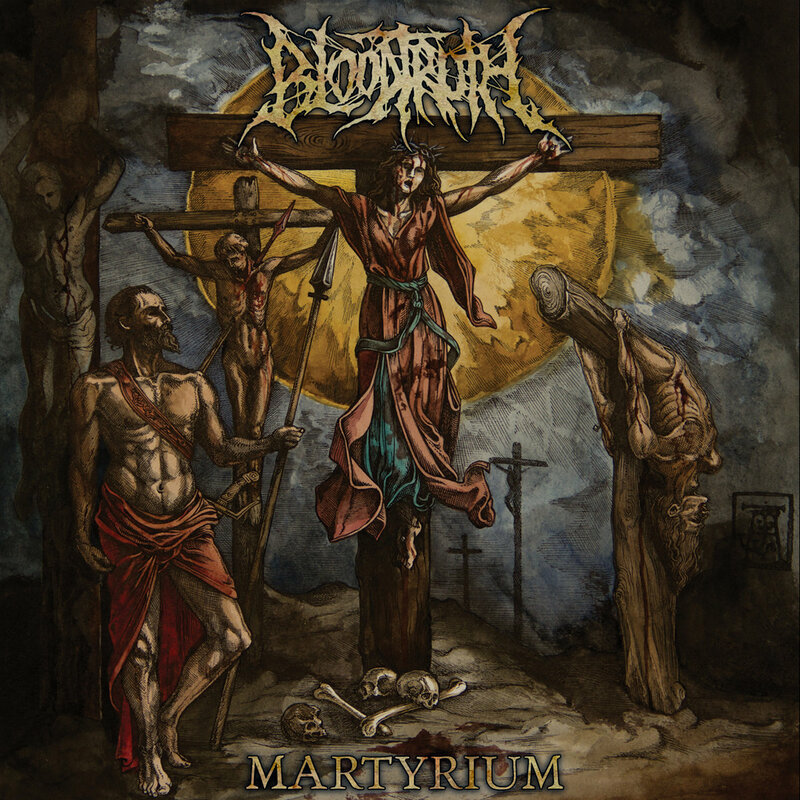 IRW: - With so many bands playing within the same genre, what facts make Bloodtruth stand out among all of them? Stefano: - I think Gregorian Chants give us something more among the other bands. These chants are throwing us into another dimension that emphasizes brutal death metal and gives a different point of view of the concept in every song. Beyond that, we love to mix old and new death metal styles, another strong point of our music that helped us to widen our audience and our fanbase. IRW: - What are the immediate plans of the band, in terms of tour and promotion? Is there a band that you would like to tour with or you don’t care? 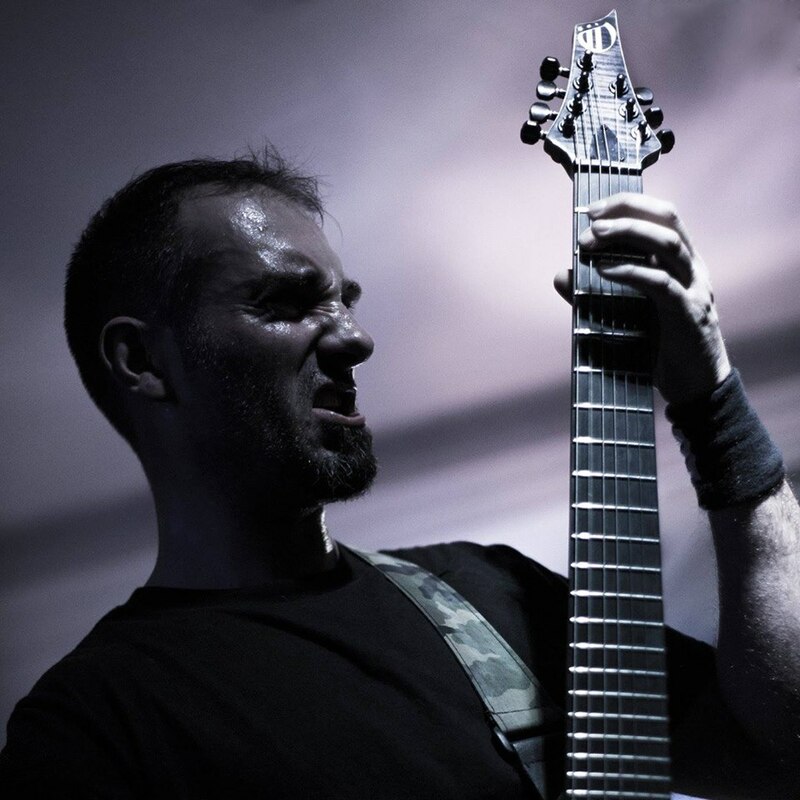 Stefano: - My buddies are touring Europe right now with our buddies Demiurgon, ten shows. They were so excited to be on the road again to be there! Personally, I would personally love to tour with Decrepit Birth or Hate Eternal, best death metal act of the world. 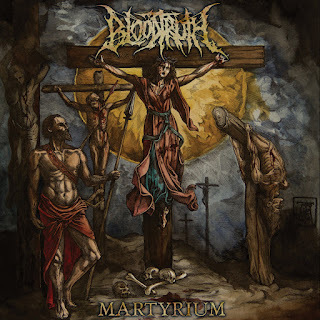 IRW: - Where can we get your newest material "Martyrium", Will it be available in vinyl or only in commercial formats? Stefano: - Martyrium is available in vinyl and CDs at our webstore www.bloodtruth.net together with a very big amount of merchandise. Furthermore, you can find it in digital formats from Spotify, Amazon Music, iTunes and any other digital platform. 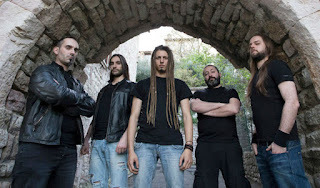 IRW: - During the last few years, I have seen many bands coming out from Italy: Forgotten Tomb, Hour of Penance, Fleshgod Apocalypse, Hideous Divinity and many more, besides Bloodtruth, could you mention three bands that are currently emerging and are worth listening to? IRW: - Before ending this interview, would you like to add something else or thank someone in particular? Stefano: - First of all I want to thank you, Fernando, for this free space (so sorry about the delay). Then I want to thank every single fan that helped us through these years by buying our merch or music. We really appreciated it! Cheers guys and keep on supporting us!!! I hope this interview has been to your liking, I want to thank you for your support and time, as well as to wish you the best of fortunes in your career and we will look forward to your next release.